Events happen every week, but the popularity of Zante means the best sell out quickly – especially VIP spots. If you’ve finished pre-drinking and you’re ready to party but are left queuing to get into a club, you’re likely to pay the highest prices to get in. 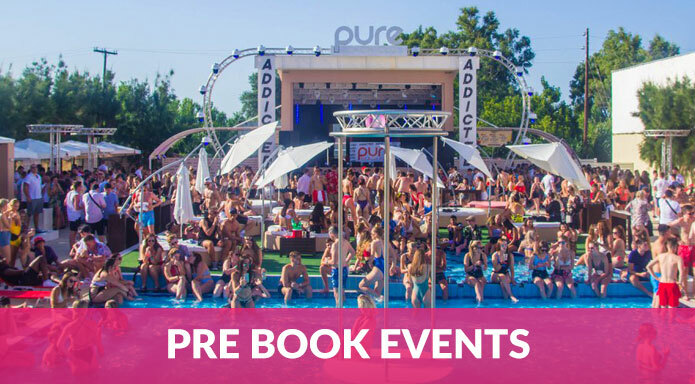 Pre-booking early bird tickets can save you lots of money – so make a list of the events you want to go to and get them booked as early as possible. Take a look here to see some of the best events in Zante. At clubs like CherryBay and Pure Beach Club, drink tokens help you save big money. The more of them you buy, the more you receive free tokens! If you buy these in bulk with your group, you’ll get loads of free drinks – allowing you to drink cheaper than anyone else. At first, having to buy a wristband for more than the cost of single entry may seem like a rip off. But with most of the clubs in Zante playing host to more than one epic night per week, you’ll end up visiting repeatedly during your trip. CherryBay, for instance, hosts a weekend event where it’s open until 8am. It also hosts Glitter ‘N’Gold and it’s even the official after party venue for the Full Moon Party, and who wants to miss that? Since you’ll be attending more than once, a wristband bought online for the club will save you up to €35! The Best Way to Save Money in Zante! Nobody can come to Zante without attending some of the epic events that occur each and every week. From Full Moon parties to boat party extravaganzas, there’s too much happening to miss out on. If you wait until you arrive in Zante and buy tickets individually, you’ll end up spending all of your money fast. Instead, you can save massive amounts of money by booking an event package. 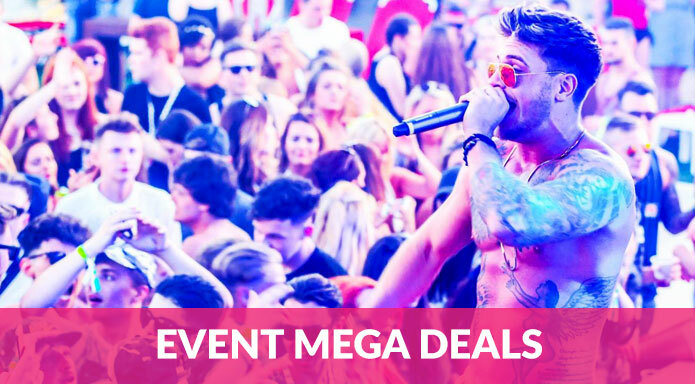 Our Zante Mega Deal, for example, provides huge savings and gives you entry into the best, most unmissable events in Zante. 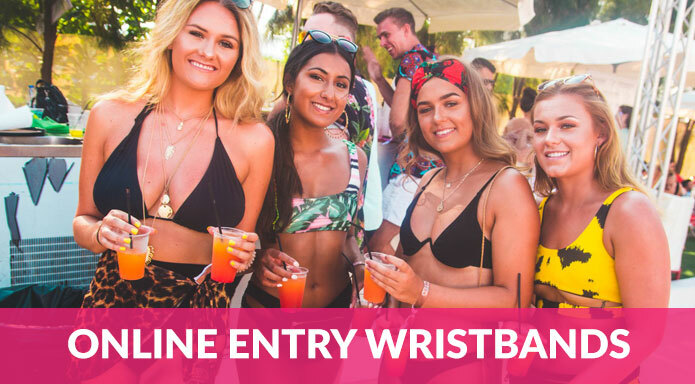 Starting at just £99, our deal includes tickets to the Full Moon Party at Havana Beach Club, Addicted at Pure, Champagne Spray and the incredible Tidal Boat Party. These events alone are worth €135 – but you also get FREE ENTRY to four different clubs for the entire week, VIP access to select clubs and exclusive drink discounts! 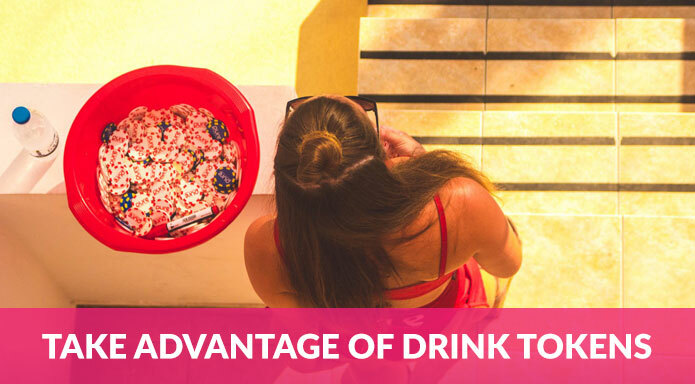 That means that in total, you can save hundreds of euros on your holiday – all from one deal, making our offer the best way to save money in Zante. Ready to take advantage of our deal? Click here to learn more.